When looking for air purifiers, industry experts suggest opting for a product with a HEPA filter. Though many of us blindly buy a HEPA air purifier, we hardly give a thought to why we need to opt for an air purifier with HEPA filter. 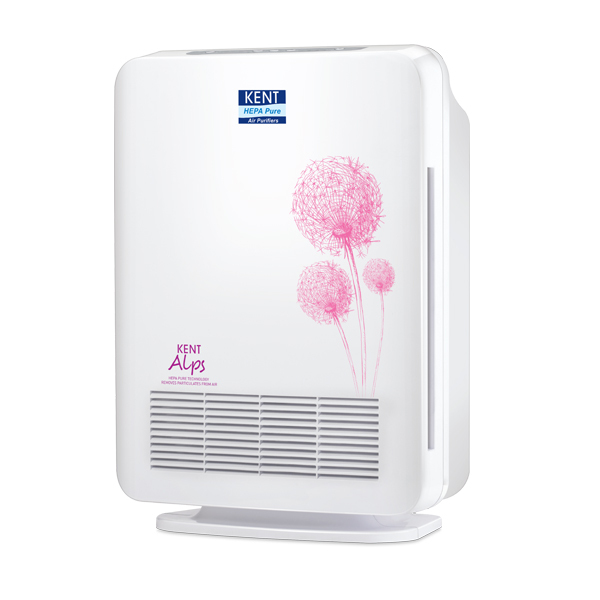 With the increasing amount of indoor air pollution, buying an air purifier is a necessity. However, choosing any random product will not meet your purpose. You need an air purifier which effectively traps the indoor air pollutants, which is why you need an air purifier with HEPA filter. To make an informed buying decision, you need to understand how air purifiers with HEPA filters work. 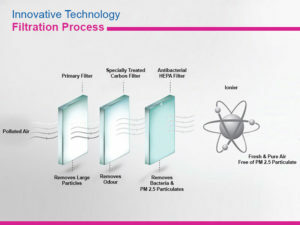 In this blog, we discuss in detail the about HEPA filters present in air purifiers. High Efficiency Particulate Air (HEPA) filter come with fine mesh which traps as well as catches harmful pollutants present in the indoor air. A HEPA filter present in air purifier forces the air through this fine mesh so that you breathe fresh. HEPA filters are useful for trapping particulates such as pet dander, pollen and dust mites. According to the Institute of Environmental Sciences, a HEPA filter needs to catch and trap 99.97% of the pollutants which are 0.3 microns or larger in size. When looking for an air purifier with a HEPA filter, ensure that you buy something which is big enough to purify the air in a room. HEPA air filters have a complex web of fibres that catch and trap indoor air pollutants. Depending on the size of the indoor air pollutants, HEPA filters use three different stages of Impaction, Interception and Diffusion. The large contaminants present in the indoor air are trapped through the impaction process. The particles present in the indoor air collide with fibres present in the HEPA filter during the impaction process. The medium sized indoor air pollutants are trapped during the interception process when they move through the filter. Lastly, the smaller particles present in the indoor air collide with the fibre and trapped. Is there a difference Between HEPA filters? Many of us are not aware of the fact that all HEPA filters are not the same. There are a lot of differences in the composition and utilization of HEPA filters. Some of the air purifiers use a process during which the air first passes through an ionizer. The ionizer charges the indoor air particles with negative electrostatic charge. In the second stage, air reaches HEPA filter where the gradient composition of synthetic fibres trap the charged particles. In addition, many air purifiers also use activated carbon, ozone, UV technology and ionizers. Some of the air purifiers use a combination of purification technologies to remove different types of indoor air pollutants. HEPA filters are ideal for removing indoor air pollutants that lead to a number of allergies and respiratory problems. However, you need to consider the CADR and effective room area of the HEPA air purifiers to ensure that the air purifiers meet your purpose. With the quality of air deteriorating at an alarming rate, installing a HEPA air purifier is a necessity to breathe healthy and stay safe.